1980 was a great year for pop music, but also something of a transitional one. It was to prove the last hurrah of great, genre-defining new wave bands like The Jam, as well as the final nail in the coffin of the once-mighty disco movement – with the likes of Earth, Wind and Fire and the Commodores finally rolling to a halt. At the same time, Two Tone was in the ascendent, along with the new electronic movement spearheaded by the Human League and Orchestral Manoeuvres in the Dark. All of this is fairly fresh in our collective consciousness, but one thing so often forgotten is the new wave of jazz funk which was finally beginning to gain traction at this time. A number of names – from Hi Tension and Light of the World, to Level 42, Beggar and Co. and Imagination – were beginning to make inroads into the British top forty in the first year of the nineteen eighties. It was a homegrown response to the great American soul and funk bands of just a few years earlier. Unlike new wave, it didn’t pretend to be political, to attempt to speak for a generation as Paul Weller did. Rather, jazz funk was about pure escapism, a blissed relief from the turmoil of nineteen seventies strike-ridden, poverty-stricken Britain. When we were being described as ‘the sick man of Europe’, a new generation of kids opted to leave their troubles behind on the dancefloor, and jazz funk proved the perfect soundtrack. Because it lacked a single, overarching narrative – something the likes of New Musical Express could explain to its readers – jazz funk was never taken as seriously as it should have been. In terms of chart success it was more successful than Two Tone, yet never got anything like the same critical acclaim. Rather, it was seen as little more than another strain of late period disco, destined to soundtrack Saturday night dancing in an anodyne, inoffensive way. In a sense, jazz funk’s problem was that it didn’t have a talisman, a focal point around which the movement could unite. Freeez surfaced in June 1980, their first single Keep in Touch coming out on the (by then) very unfashionable Pye label. Another single followed in July called Stay, out on Pink Rhythm. Both were fine if rather forgettable slices of British jazz funk, and neither successfully implanted the band on the music buying public’s collective imagination. Finally though, in February 1981 the band achieved its breakthrough on Beggars Banquet with Southern Freeez, a song which went on to become one of the greatest jazz funk records of the nineteen eighties, as well as pushing the band into the UK top ten. Nothing more than a loving tribute to a dance move that had come out of the Royalty club in Southgate, Southern Freeez was a beautiful, carefree song that stretched over a full nine minutes. Recorded back in the summer of 1980, it was the sound of a band in their element, mixing the layered percussion of John Rocca with the laid-back keyboards of Andy Stennet, the funky bass guitar of Peter Maas and tight drumming of Paul Morgan. The track also featured a lovely, plaintive lead guitar track from Gordon Sullivan, and flirty, flighty vocal tones of Ingrid Mansfield Allman. It was an inspired combination. Despite being released in February, its long, easy groove allied to frenetic hi-hat work and beautiful keyboard glides, gave a wonderfully light, summery feel. The song stayed in the charts for months, and went on to become the soundtrack to the long, hot summer of 1981, played in every school disco and nightclub across the land well into the autumn. It was one of those songs which transcended genres, proving a hit with soul fans, disco kids and ska lovers across the land. Freeez went on to undergo major lineup changes, and then worked with up-and-coming New York producer Arthur Baker to score a number one with I.O.U. in June 1983. It was also a great song, but for many Southern Freeez was the high point of the band’s career, memorable long after people had forgotten the band itself. The level of musicianship is superb, the song’s melody simple and sweet, the mood happy and warm – whilst its infectious groove pulls the listener in and keeps them enthralled, wanting more. The words are softly but soulfully sung, the lyrics a carefree accompaniment to the beautiful music, and the production is simple and direct, adding to the song’s wonderfully spontaneous feel. 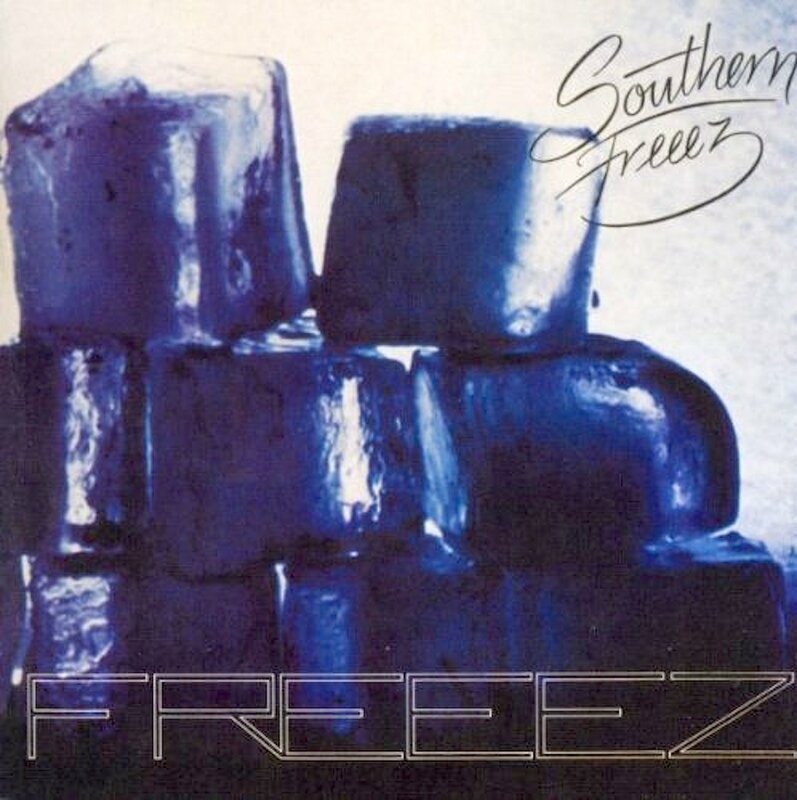 Southern Freeez was a stellar song which pushed jazz funk higher in people’s affections, soundtracking a very special but sadly oft-forgotten moment in British pop music history.